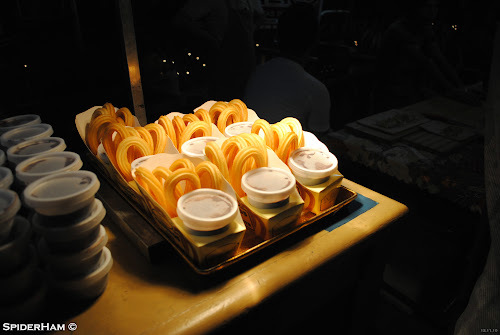 I have been hearing this Banchetto thing for quite some time and it really aroused my curiosity. 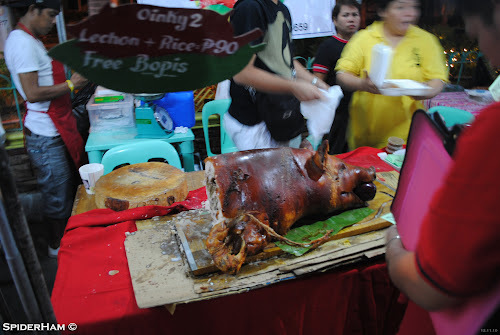 My office mates told me that this was like a food fair in Ortigas center that starts around Friday midnight until Saturday noon. We have been planning to check the place one Friday night since my shift ends at 12 AM. I think 2 or 3 Fridays had passed due to either the rain or everybody were busy to go. 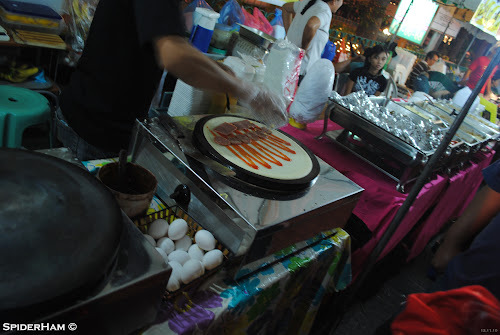 Finally, after several weeks of planning to go there, we were able to see what really this Banchetto is all about. I was not able to bring Dietrich the first time and this was taken 2 weeks after our first visit. 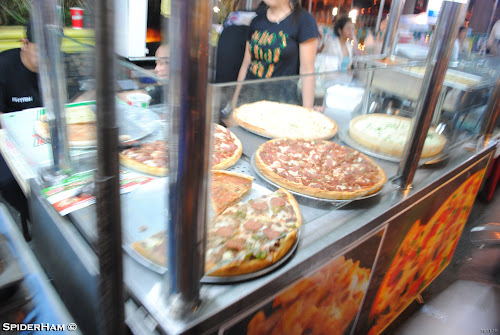 Upon arriving at the corner of Garnet and Emerald Road we finally see the clusters of food kiosk occupying the half section of Emerald Road (F. Ortigas Jr. Road). 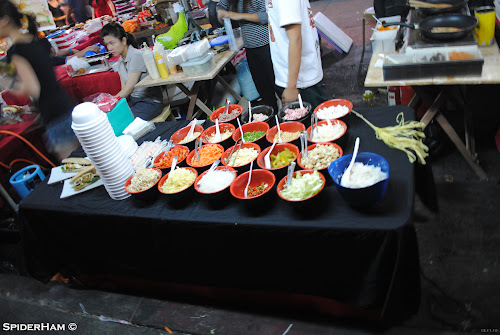 As I have seen it, Banchetto was a night food market with not less than 50 booths offering different kind of foods from grilled to full meals and other delicacies. 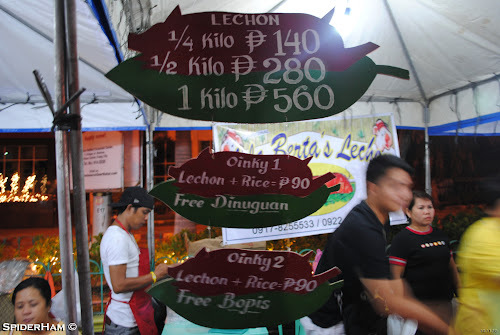 Based on Ortigas Center Association's booth, the organizer, Banchetto is the first weekly overnight "Street Food Fiesta" which happens every Friday midnight at Emerald Road and at Forum Robinsons every Wednesday and Thursday night. 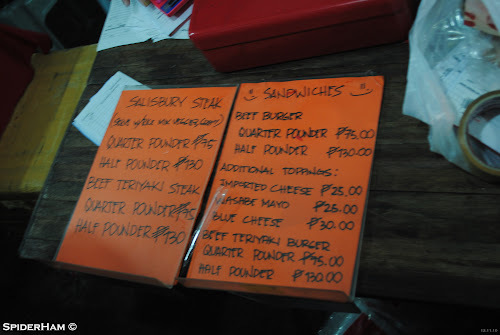 So we decided to look for the famous Monster Burger that was usually the talk of the people who have been there. 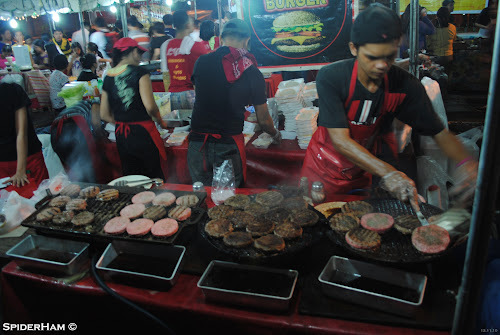 The Monster Burger kiosk was jam-packed with too many people lining up for their half-pound or quarter-pound burger patties with your choice of it being a sandwich or a rice meal. 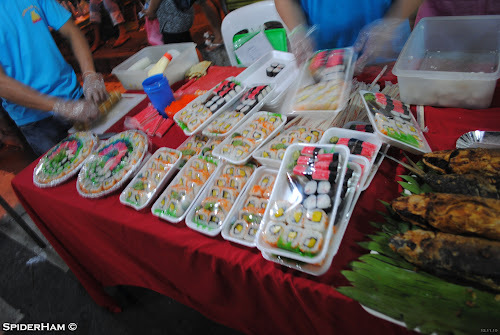 Let me just show you how my Banchetto experience went through. 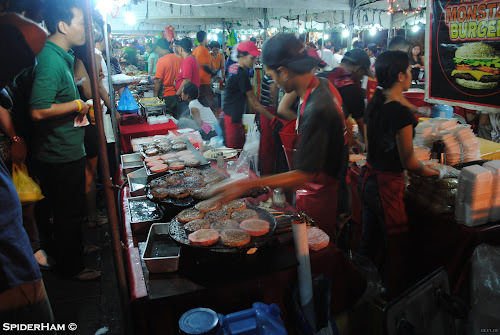 This is a burger's paradise. 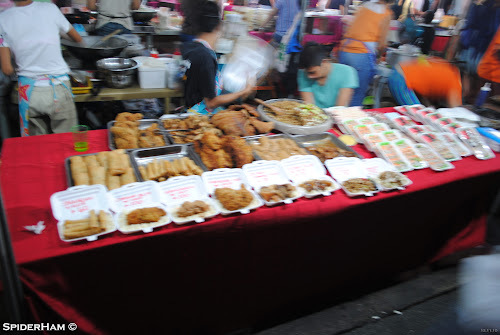 Lumpiang Shanghai, Lechon Kawali and other fried goodies. 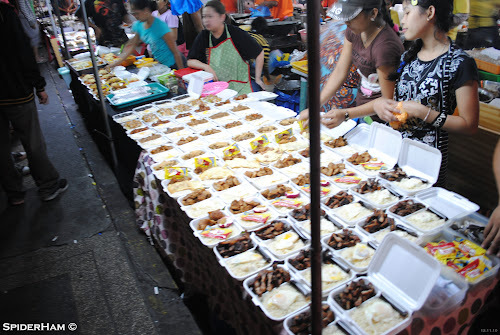 Food fiesta like this won't be complete without the Silog meals. You may avoid too much of this if you love your heart. I think he won't last until morning. This is for people who likes Mongolian meals. Pizza Mia for those who likes Italian. I'm not sure if these are Pretzels. 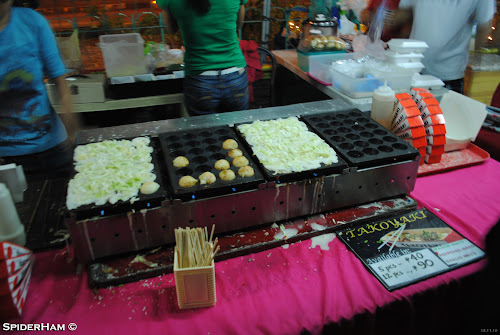 I wonder how Takoyaki taste like. I'm not sure what this is. Feel free to hit the comments if you know. 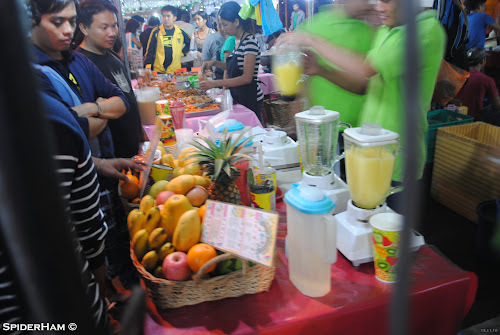 Fresh fruit juice to quench you thirst while looking for you favorite food. Maybe its not too late for dessert. 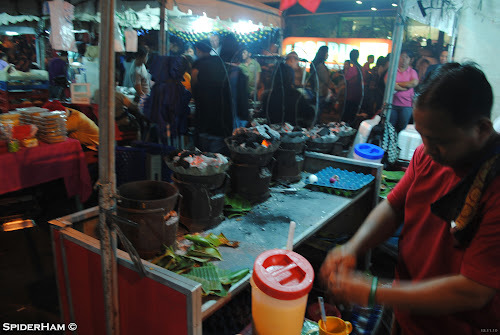 Christmas or not, who would not resist the smell of Bibingka being cooked. 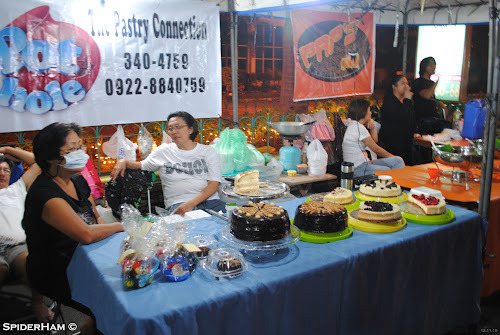 If you want to check on how to join the Banchetto food fiesta, you may check the organizer's Multiply page here or you may visit them personally at the Banchetto kiosk at the site.